Shop small, small suburban and shop hand-crafted this holiday season. Published Dec. 15, 2018 at 10:16 a.m. Need a gift for a special person, or someone who already has everything? One-of-a-kind, hand-crafted items will delight everybody on your gift list. 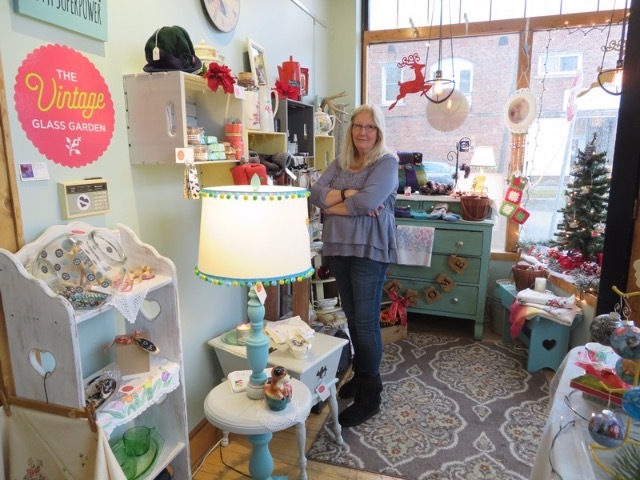 Venture just outside of Milwaukee to the suburbs to find a variety of stores with gifts individually hand-made by local makers, artists and crafters. These gifts add a personal and sincere touch you can't get from mass-produced stuff at a big retailer. Each piece has a special connection to the Milwaukee area and supports the growing artist and maker communities in our neighborhoods. An eclectic collection of handmade and vintage items greet you at the door. Take a moment to soak it all in: hand-crafted jewelry, candles, knit hats and scarves, monogrammed plates, throw pillows, home décor and garden art such as wind chimes made from vintage teapots. Then make your way to the back room for a delightful display of retro surprises: classic dishes, antique linens, salt and pepper shakers, cookie jars, serving trays and more items you remember from grandma's kitchen. Need help picking out that perfect gift? Ask owner Jean Marie Best to give you some suggestions. Everybody loves chocolate, and you can't beat the taste of freshly made chocolate. 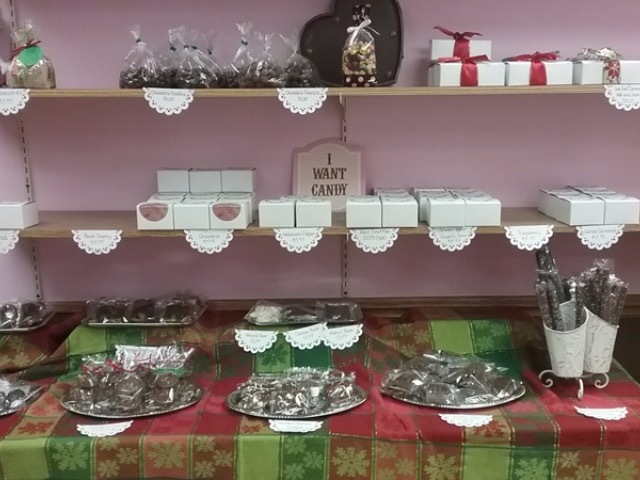 Each day, owner Dawn Damico rolls, molds, dips, decorates and packages small batches of chocolate delights. Build your own gift box or choose already-packaged boxes of truffles, pecan turtles, bark, dipped orange peels and pretzels, snow caps, mint meltaways, sea salt caramels, almond toffee and Wisconsin-shaped chocolates. Don't be surprised when you leave this shop with a little treat for yourself, too. At any given time, someone is creating something from clay at this pottery school and studio. 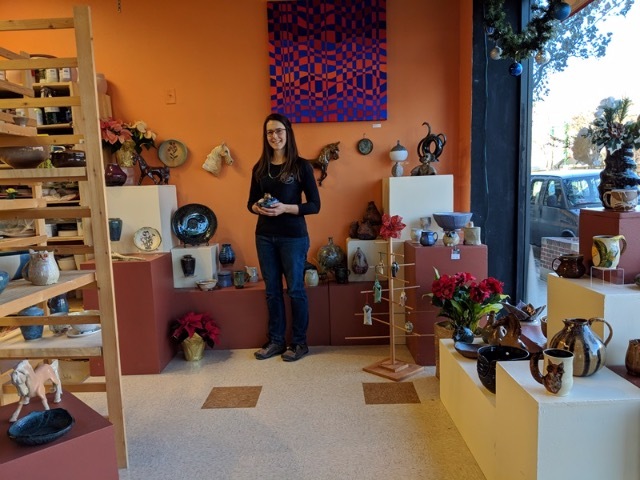 In front, though, is a little-known gem of a store with handcrafted ceramic art from functional pottery to decorative sculpture, most made on-site by 35 member artists. There's a constantly changing display of unique pitchers, cups, bowls, plates, teapots, ornaments, sculptures and oil paintings, priced from $10 to $250, to satisfy everyone. 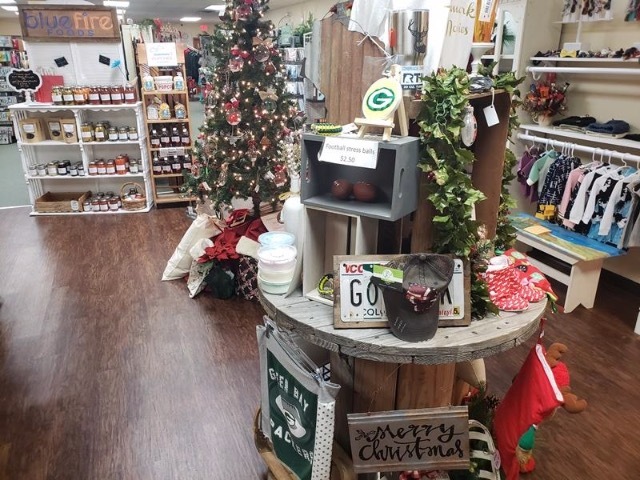 This family-owned gift shop features items from 70 local artisans who make everything from clothing to décor and edible treats. 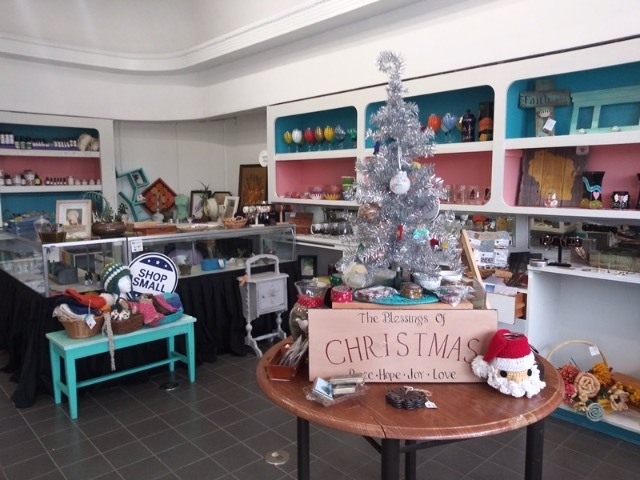 Get one-of-a-kind handbags, local-pride T-shirts, wood and metal signs, canned veggies, onesies with cute sayings and a huge selection of holiday decorations. Each visit to the shop is a fresh experience because there's always something new. Most artisans will customize their work upon request, so personalize your gift by adding a name to a stuffed elf, ornament, mug or art glass box. As the name suggests, there are unexpectedly fun and funky handmade gifts at this kitschy shop. If you need a Betty White-themed soy candle, an ugly sweater ornament, colorful earrings made from wallpaper samples or a print of a skeleton drinking coffee, then this is the place to shop. There's a wide variety of hand-crafted clothing, jewelry, honey, soaps, stuffed animals, candles, flour sack towels, glassware and all kinds of home decor. Prepare to spend some time looking through everything.